This website provides general information to make it easier for people with mobility difficulties to travel to, from and within Ireland. Links to other websites, which provide more detailed information, are also provided. European Regulation 1177/2010 on the Rights of Passengers Travelling by Sea and Inland Waterways, came into effect on 18 December 2012. The Regulation applies to vessels certified to carry more than 12 passengers and operated by a European Union Carrier. It includes provisions on non-discrimination and assistance for people with disabilities and reduced mobility similar to those already in force for rail and air passengers. This includes an obligation to: provide assistance at ports or harbours and on board ships; carry recognised assistance dogs (subject to national regulations); carry mobility equipment (such as wheelchairs) free of charge and to provide information in accessible formats. Statutory Instrument No. 394 of 2012 designates the National Transport Authority as the national enforcement body for the purposes of Regulation (EU) No. 1177/2010 in Ireland. An Information Note summarising passenger rights in the area is available here. Ferry companies operating to and from Ireland use ships which are accessible to people with mobility difficulties. If you need help with boarding and disembarking you should give the ferry company as much notice as possible so that they can make arrangements (this may mean boarding via the car deck and using a lift to reach the passenger deck). Under European legislation (Regulation (EC) No. 1107/2006), disabled persons and persons with reduced mobility should not be refused carriage by air on the grounds of their disability or lack of mobility, except for reasons which are justified on the grounds of safety and are prescribed by law. Disabled persons and persons with reduced mobility are entitled to receive the assistance specified in the Regulation free of charge at the airport as well as on board aircraft. In Ireland the Commission for Aviation Regulation is the National Enforcement Body for the Regulation. The Commission has launched a website called Flightrights.ie which includes details for disabled persons or persons with reduced mobility when travelling by air. When booking flights, disabled persons and persons with reduced mobility should give airlines at least 48 hours notice of their particular needs to enable the airlines and airports to make the necessary arrangements. If you have been issued with a disabled persons' parking permit (commonly referred to as the Blue Parking Card or Blue Badge), then you can use it here as long as it contains the recognised pictorial symbol of a person sitting in a wheelchair. It allows you to use the designated disabled parking spaces provided on street. There is no need to display a time clock when you use your Blue Badge in Ireland. Remember, a Blue Badge is not a license to park anywhere. You still have to obey the rules of the road and should not park where it would endanger, inconvenience or obstruct pedestrians or other road users. On 1st June 2011 new traffic and parking regulations were introduced which revise the criteria for eligibility for a Disabled Person’s Parking Permit from a focus on type of medical condition to a focus on level of mobility impairment. The Regulations also remove the exemption of permit holders from the rule against parking again in a public space within one hour. Road Traffic (Traffic and Parking) (Amendment) Regulations 2011 (S.I. No. 239 of 2011). The parking concessions provided under the Blue Badge scheme only apply to on-street parking in designated spaces. They do not apply in multi-storey car parks, for instance, although disabled spaces are provided generally in the most accessible locations, where permit/badge holders usually have to pay. However, many supermarkets and shopping centres designate specific bays for disabled persons' parking. In Ireland, disabled persons' parking permits (Blue Badge) may be issued by local authorities, the Irish Wheelchair Association and the Disabled Drivers Association. The permits have national application. Permits are granted to eligible disabled persons and may be issued to a disabled person who is a driver or to a disabled person who is a passenger. The form of the permit allows for its recognition in other EU member states. European Regulation 181/2011 concerning the rights of passengers in bus and coach transport came into effect on 1st March 2013. This Regulation provides among other things for: a) Compensation for delayed or cancelled services; b) Information provision before and during a journey; c) The needs of people with disabilities or reduced mobility; and d) Staff training. Public transport bus services in Ireland are provided by both State-owned and private transport operators. Accessible transport Dial-a-Ride services for people with disabilities together with ageing and older people are provided byspecialised Accessible Transport Operators. Dublin Bus and Bus Éireann (Irish Bus) are the State bus companies. Dublin Bus provides bus services within Dublin city as well as to and from the surrounding areas. Bus Éireann operates intercity coach services together with commuter services in the cities of Cork, Waterford, Limerick and Galway. It also provides services on a network of routes throughout Ireland as well as commuter services in some large towns. Both Dublin Bus and Bus Éireann are obliged to provide services to people with disabilities. You can read more aboutservices for people with mobility difficulties provided by Dublin Bus and services for people with mobility difficulties provided by Bus Éireann by clicking on the links. Local Link is a development of the Rural Transport Programme (RTP) which was launched in 2007 to build on the success of its predecessor, the Rural Transport Initiative (RTI). The RTI was established as a pilot project in 2002 to address issues of unmet transport needs from a social inclusion and community-based perspective. The RTI and RTP specifically focused on responding to rural isolation and enhancing the mobility, accessibility and community participation of local people, particularly those at risk of social exclusion. In 2013, 224,158 vehicle trips were provided under the programme while 1.74million passenger journeys were taken. There will be 18 Local Link Offices nationwide. These offices will manage approximately 1,000 Public Bus Services in local and rural areas of Ireland. Local Link Offices open from 9am – 5pm, Monday to Friday. Local Link provides a combination of scheduled Public Transport services and door-to-door services. Door to door services should be pre-booked with the Local Link office closest to the service you wish to use. Details of Local Link Services are available through the National Journey Planner. Alternatively, more detailed information on the range of services in your area can be obtained by contacting your Local Link office which will be happy to pre-book a seat if required. If you have a concessionary fare pass from another administration, it will not work here. The only exception is the all-ireland free travel scheme for people over 65 who live in Northern Ireland. Free travel on State bus services and on Rural Transport Programme services is available to everyone permanently living in Ireland that is aged 66 and over. Certain people under that age are also entitled to free travel. In some cases, a free companion pass may be available to allow a person to accompany the free travel pass holder. If you qualify for free travel, you will be issued with a pass that you must carry with you when using public transport. Free travel passes are non-transferrable and can only be used by the named person. Free travel is also available on a limited number of services operated by private bus transport companies that have opted in to the Free Travel Scheme of the Department of Social Protection. More information about Free Travel. Special offers and concessionary fares may also be available from the bus companies subject to specific terms and conditions. Guide dogs accompanying passengers who hold a Registered Blind Person's Pass are carried free of charge on Dublin Bus and Bus Éireann services. Animals other than guide dogs are carried on Dublin bus services at the discretion of the driver. According to the by-laws governing Dublin Bus, you cannot bring an animal onto the bus if an authorised person (i.e., driver or inspector) asks you not to do so. No other animals will be carried on Bus Éireann services, under any circumstances. Private transport operators may have their own rules in this regard. DART Rail services (electric powered trains) around Dublin which operate along the coast of Dublin, from Malahide and Howth southwards as far as Greystones, Co Wicklow via Dublin City Centre stations. For map go to www.irishrail.ie/home/company_information.asp. You can read more about services for people with mobility difficulties provided by Iarnród Éireann here. If you have a concessionary fare pass from another administration, it will not work here. The only exception is the all-ireland free travel scheme for people over 65 who live in Northern Ireland. Free travel on Iarnród Éireann (Irish Rail) services is available to everyone permanently living in Ireland that is aged 66 and over. Certain people under that age are also entitled to free travel. In some cases, a free companion pass may be available to allow a person to accompany the free travel pass holder. If you qualify for free travel, you will be issued with a pass that you must carry with you when using public transport. Free travel passes are non-transferrable and can only be used by the named person. Free travel passes are issued by the Department of Social Protection. You must present your free travel pass at the ticket office to get a ticket to travel before boarding the train. You may if you wish reserve a seat through telesales on 1850 366 222 (00353 1 8366222) or on www.irishrail.ie by choosing a "Reserve Seat" ticket (nominal fee applies). More information about Free Travel. Special offers and concessionary fares may also be available from Iarnród Éireann subject to specific terms and conditions, for more information go to www.irishrail.ie. Assistance and Guide Dogs are permitted on all Irish Rail services. For information on all other pets please check on the company's website at http://www.irishrail.ie/travel-information/travelling-with-animals. The Green Line: connecting Sandyford to St Stephen's Green in the city centre. This journey takes, approximately 22 minutes. If you have a concessionary fare pass from another administration, it will not work here. The only exception is the all-ireland free travel scheme for people over 65 who live in Northern Ireland. Free travel on Luas services is available to everyone permanently living in Ireland that is aged 66 and over. Certain people under that age are also entitled to free travel. In some cases, a free companion pass may be available to allow a person to accompany the free travel pass holder. If you qualify for free travel, you will be issued with a pass that you must carry with you when using public transport. Free travel passes are non-transferrable and can only be used by the named person. More information about Free Travel. Special offers and concessionary fares may also be available subject to specific terms and conditions. For further information visit www.luas.ie. There are two types – Taxis and Hackneys. Taxis and wheelchair accessible taxis are public hire vehicles. Their licence and licensing requirements allow them to stand for hire at a rank (taxi ranks at airports, train and bus stations) and they can also be hailed on the street. The vehicle is equipped with a taximeter to ensure the maximum fare charged is within regulations. Fares less than the metered value are of course possible. Hackneys and wheelchair accessible hackneys are different in that they are private hire vehicles. They do not have taximeters and the key difference is that the journey must be pre-booked, i.e. fare and trip agreed in advance, hence no need for the taximeter. They cannot stand for hire at a rank anywhere nor ply for hire, i.e. they cannot take fares from the public on the street. The National Transport Authority has created a register of all Wheelchair Accessible Taxis throughout the country. This is to enable improved access to this specialised service for people with disabilities. A guide dog or assistance dog may accompany their owner free of charge in the vehicle. For weather forecasts visit Met Éireann. For information on companies that provide wheelchair repairs please contact the Irish Wheelchair Association. It is important to be well prepared when planning a journey abroad. Ensure that you have all the information about your trip (and for all parts of your journey) before you book your ticket. There are many sources of information available through your travel agent, transport operator or station, airport or port. Information for Irish Citizens wishing to travel abroad is available here. The European Health Insurance Card or EHIC (formerly the E111 form) allows the holder to access health care services when travelling to other EU or EEA countries. Anyone who is living in Ireland or intends to live here for a year can apply for an EHIC from the Health Services Executive. For more information and how to apply visit EHIC. There is no charge for the EHIC card, it is a free public service. Information is available from the Irish Guide Dogs for the Blind. Hospitality is the cornerstone of Ireland's tourism industry. 98 % of visitors to Ireland say that they would recommend a holiday in Ireland to Family and Friends. Ireland undertakes independent Quality Assurance assessments for all of the accommodation featured on the Discover Ireland website. 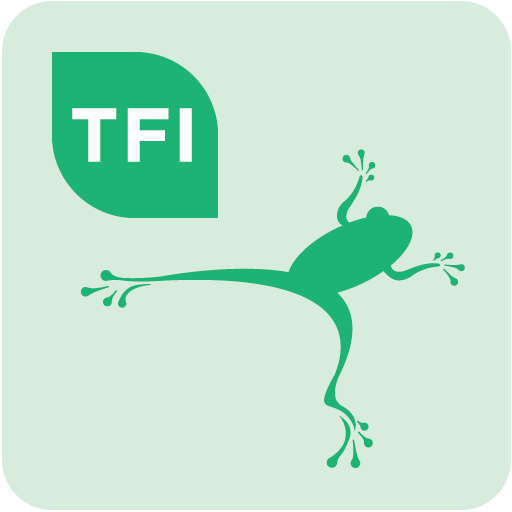 This means you have quality assurance from Fáilte Ireland - the National Tourism Development Authority. Tel: Locall 0761 001 601 (within Ireland) or + 353 1 670 7444 (from outside of Ireland) Email: info@dttas.ie.